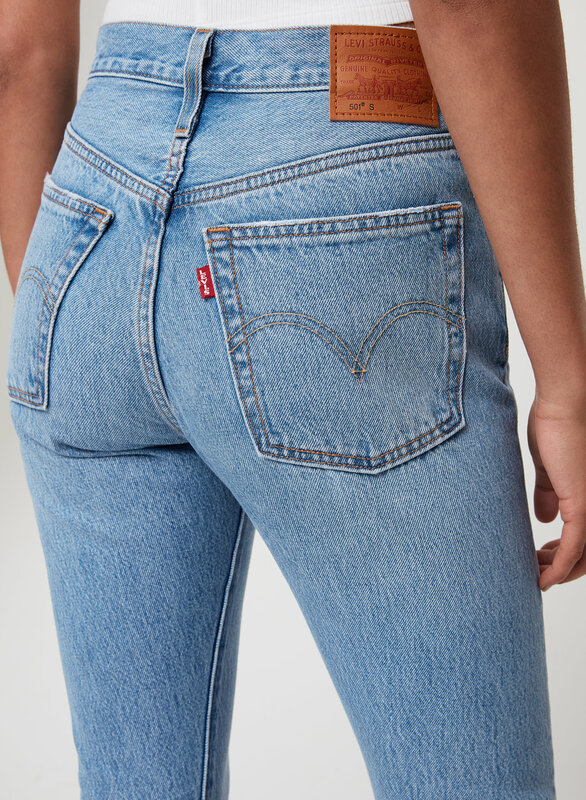 Inspired by the iconic Levi’s 501® jean, this version is slimmed down in the leg and slightly cropped. 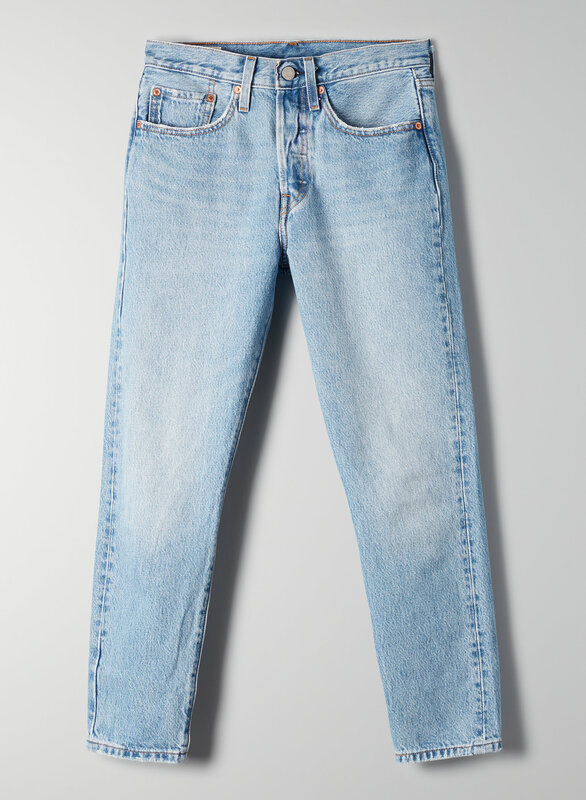 The non-stretch denim will only get better with wear. 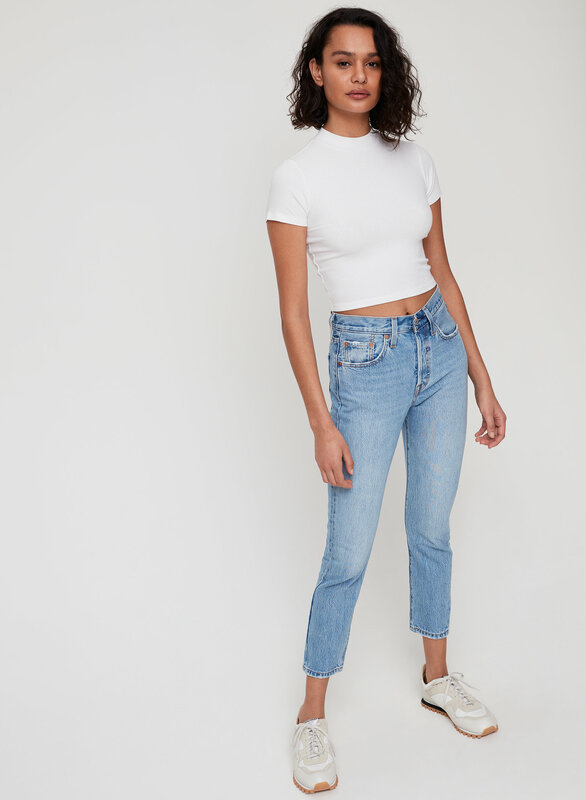 I really love the quality and look of these jeans. I also really love the fit. I feel like the run true to size. However, I didn’t really like the buttons on these jeans, would have preferred a zipper! 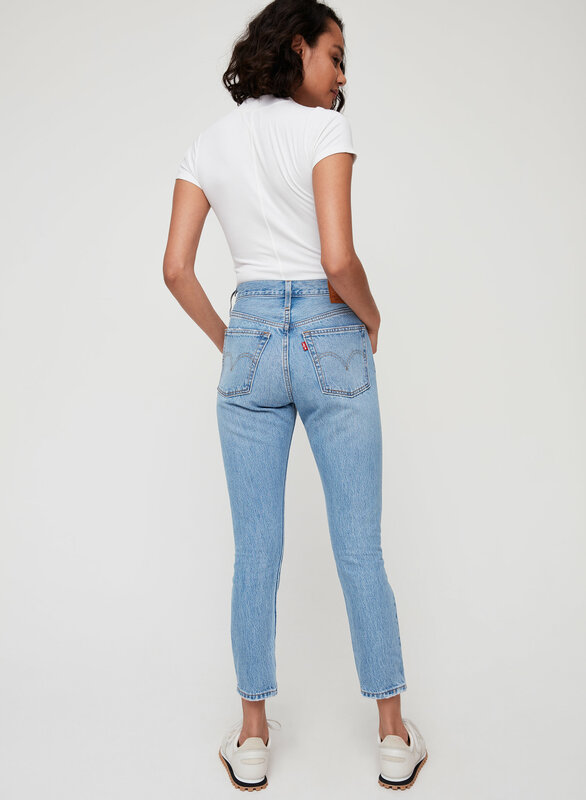 They aren’t the most comfortable and they do not stretch - but after wearing them for a few hours they loosen up at the knees (atleast for me personally). 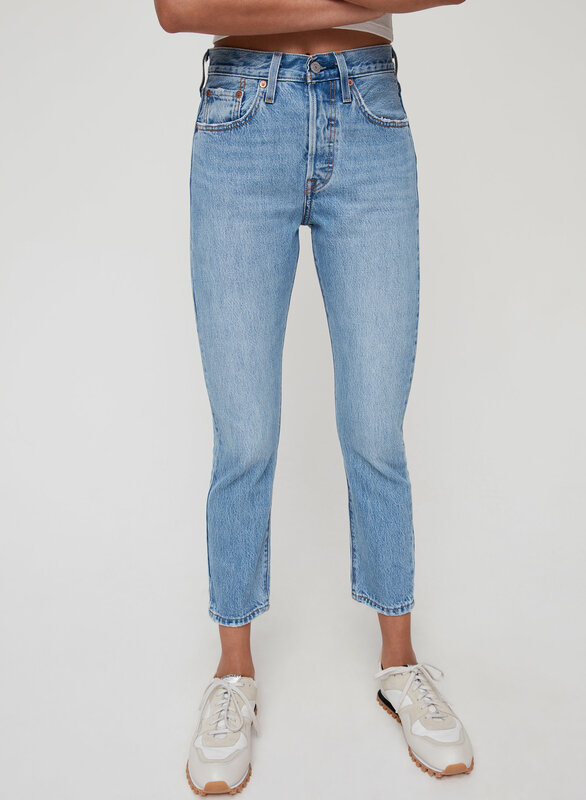 I like them but I don’t think they’re worth the price! Love the colour but proportions are off.